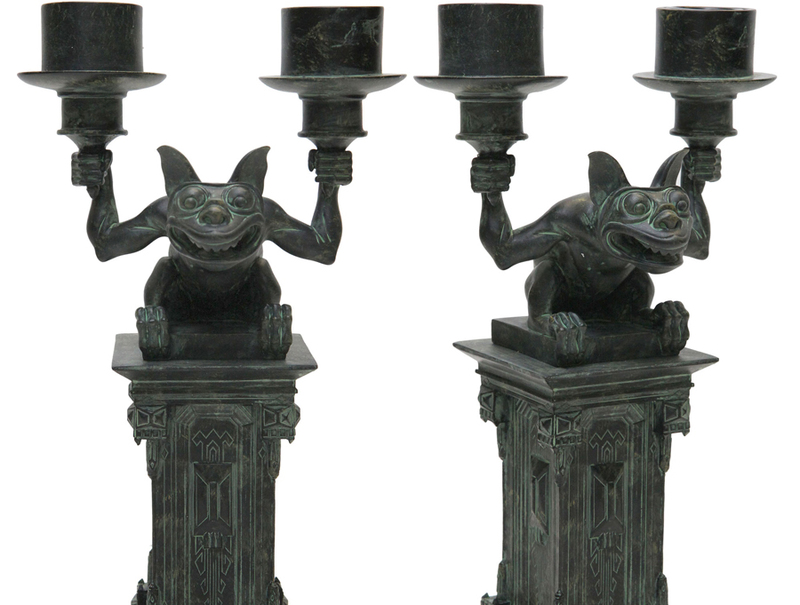 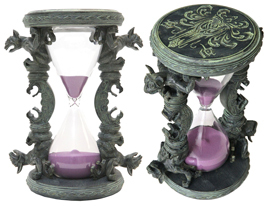 My favorite item is the candelabra, which also features a gargoyle. 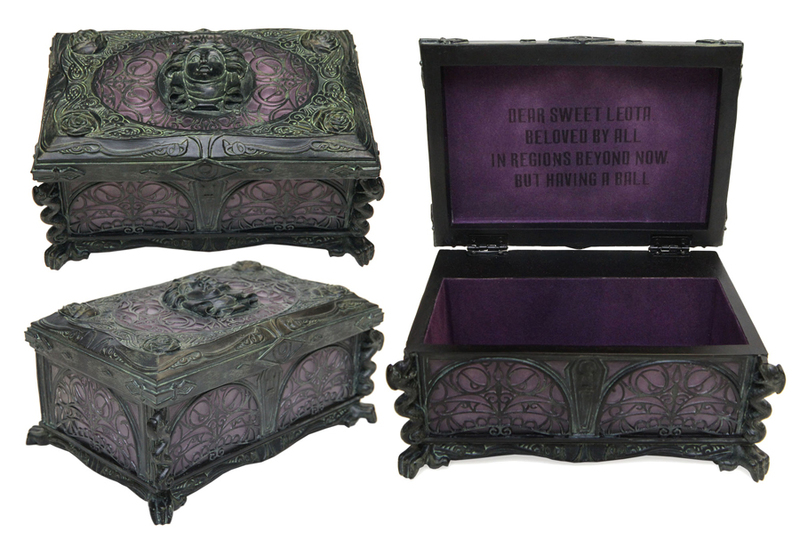 Cody said the base was inspired by the paneling found in the queue just after the stretching room. 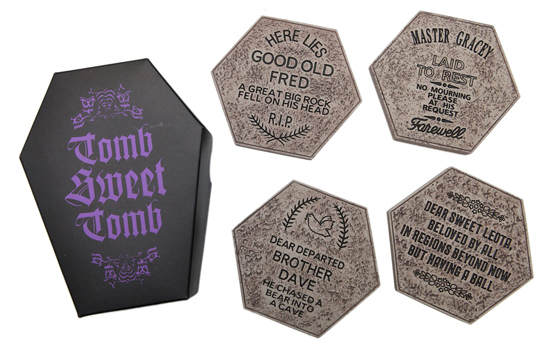 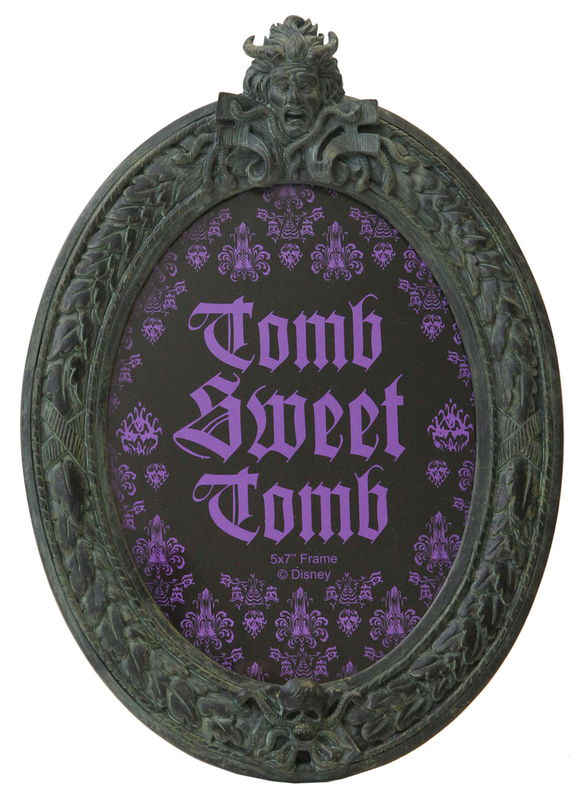 The four-coaster set also uses some of the more recognizable epitaphs from the outside graveyard, including those of Madame Leota and Master Gracey. 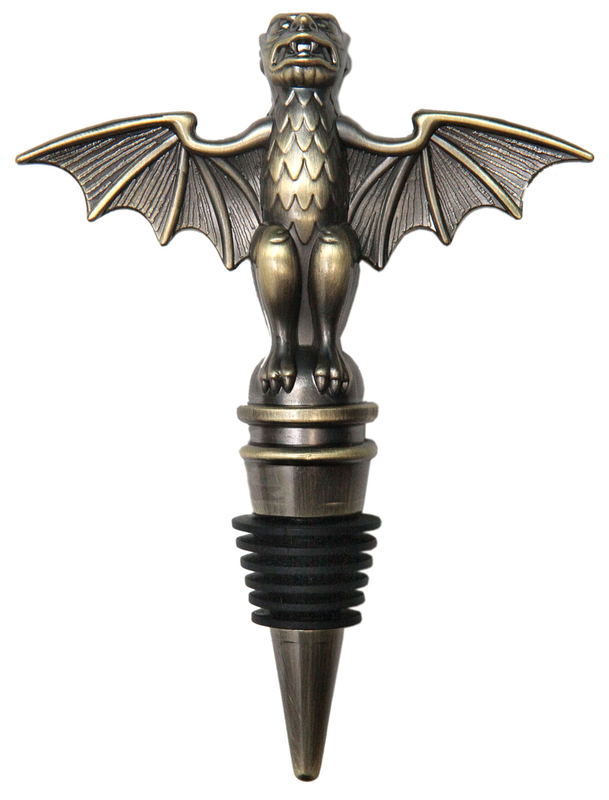 The bottle stopper resembles the bat stanchion topper from the queue. 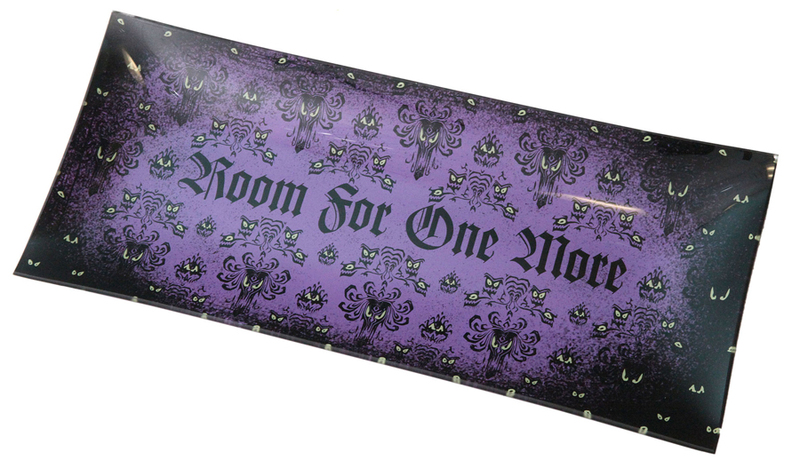 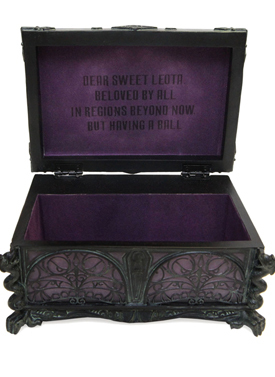 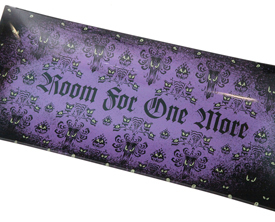 The candy dish also uses the wallpaper motif, along with the iconic phrase “Room for One More,” which is a nod to the ghost host inviting guests to join the 999 happy haunts that live in the mansion. 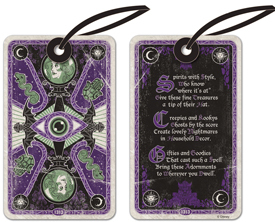 Cody mentioned the tarot card-like hangtags found on the items were inspired by Madame Leota’s cards. The purple card contains verbiage that sounds like how Madame Leota would describe the new merchandise. 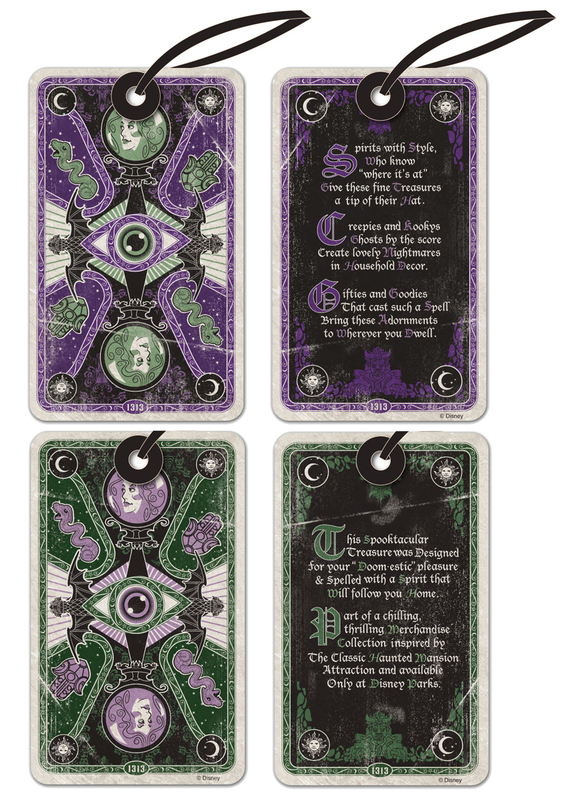 The cards also contain nods to details found inside and outside the attraction. 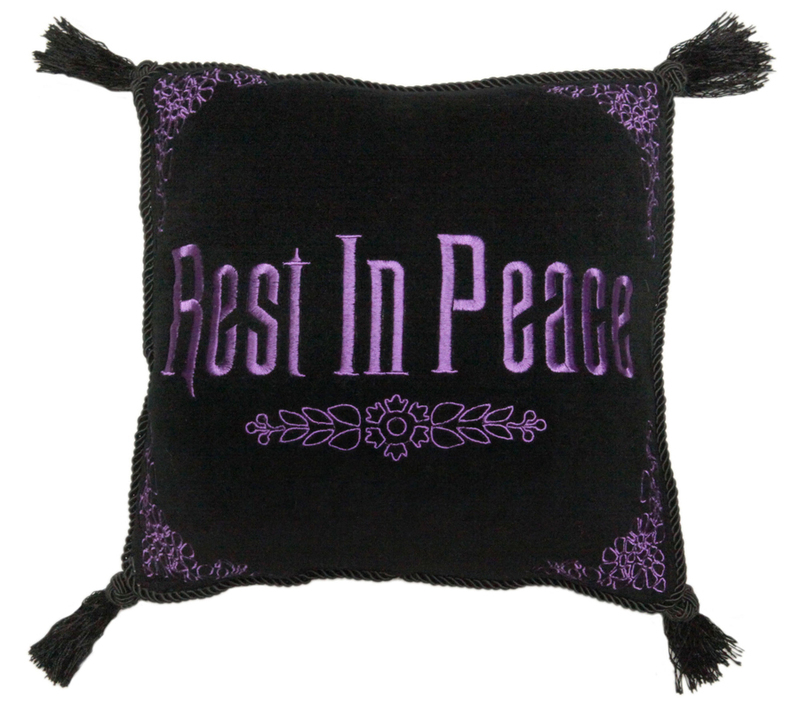 These items will be found in select locations at Disneyland and Walt Disney World Resorts. 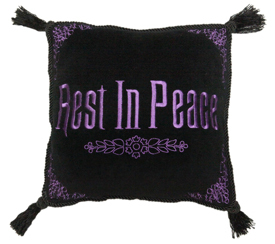 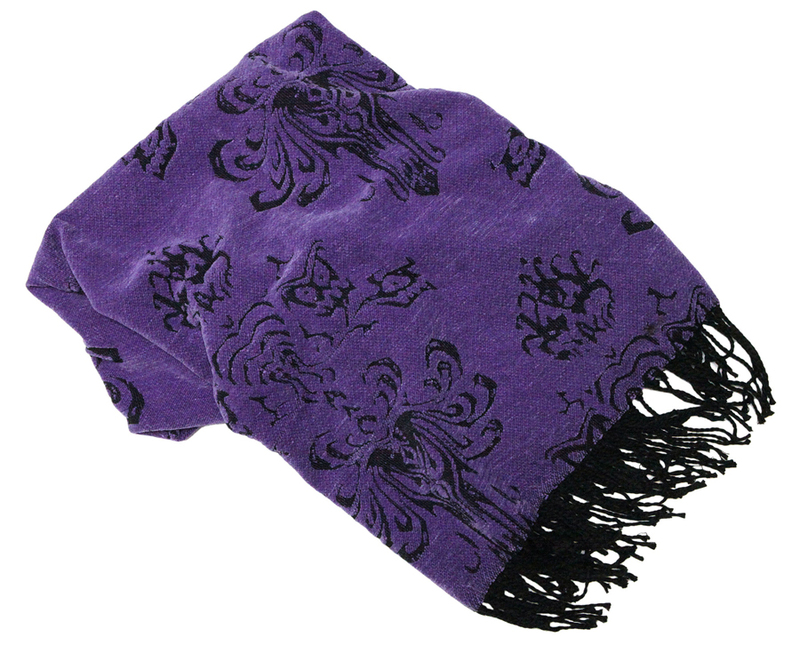 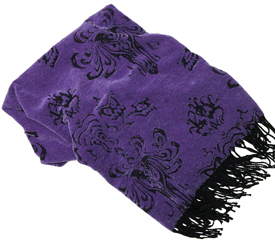 We will also be carrying them via the Disney Parks online store at a future date. 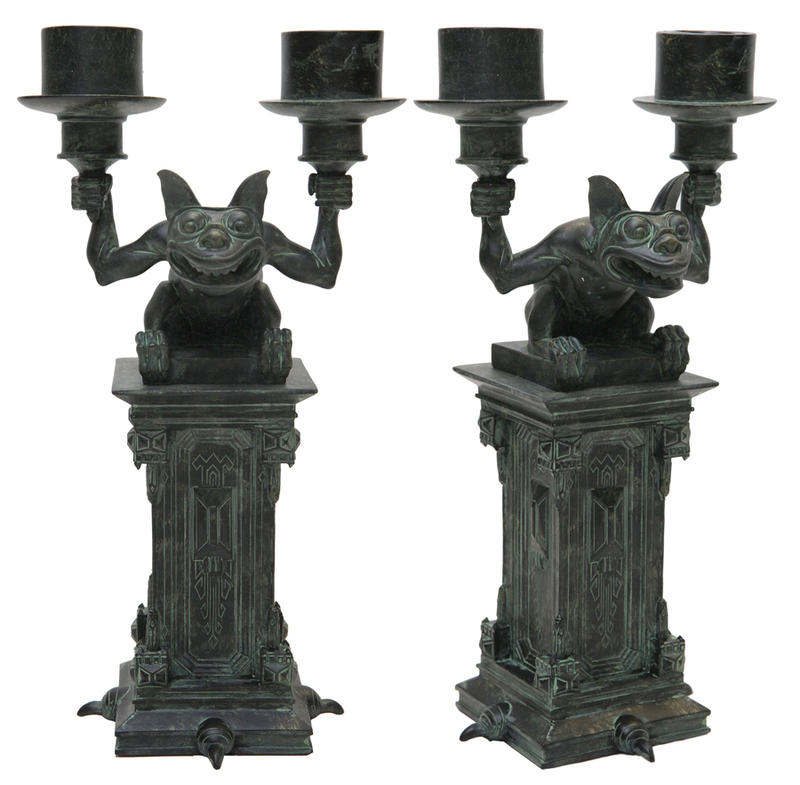 I’d love for all of these items to follow me home!